I love a good exercise. I hope you do too. Like me; I know most of us can’t get enough of the recumbent bike. Then here comes the challenge. So many of them getting on the market it’s so hard to keep up. But that burden is no longer yours. We’ve wet our feet quite a bit on this one. Carefully going through the best models you can find. This list goes through the features, performance and installation processes of the top 5. There’s a touch of style for everyone when it comes to recumbent bikes. Admittedly, just about every gym rat and home exercise fan love it. We figured it’s time you get to own one. Here, we strive to match your best fit on budget and fitness plans. Exerpeutic is best known for their known investment in fitness and wellness. It’s no wonder their recumbent bike 400XL makes it to this list. As home exercise equipment, this is the real deal. It has a broad range of users who can benefit from it. If you have been through an injury, reconditioning to make a full recovery would work best with this bike. It is a combination of sophistication and comfort. 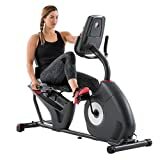 You probably see it at the gym or may be your first real experience will be at the Exerpeutic display. The remarkable outward features are what capture your eye first. It is in sleek black and silver color. You can easily imagine it in your living room since it is space saving. It is one of the most sought, for it is reasonably priced especially if you are on a budget. So what sets this piece apart from the others? First, it is very easy to assemble. The manufacturer ensures you do the minimum work and provides very clear instructions. After this, all the functions come to life. It features a control system that uses an eight level, tension mechanism. This means you can adjust you cycling fast and consistently. It runs quietly, so you won’t have trouble listening to music at your normal volume. With this bike, you can track your heartbeat, the calories you burn, distance, time and speed. All these elements display nicely on a bright LCD screen. You’ll love how comfortable the seat is. It is sturdy with a well-cushioned backrest. You will cycle for hours without the fear of low back pain. This is an awesome recumbent bike. I can bet it’s the best fusions of reliability and affordability you will ever desire on the market. starting your exercise routine. It stretches those leg muscles while giving you adequate back support. It is quite appealing mainly because it exhibits quality while it’s very well priced. You’ll first notice that it has a robust design. It can take 300 pounds without budging. The seat is quite wide as it is meant to afford wellness for all users. It is also adjustable to reach the pedal how you want. This is done by gliding by use of the rail to acquire the best position. The recumbent design allows anyone to get in and out easy as it is open. The handles are at a good level you won’t keep your elbows at an awkward position. All heights are catered for by this seat. What is it about this bike that pulls you to it? This bike comes carrying a ton of exquisite features. Starting us off is the tension mechanism. It uses the 8-level magnetic system. This proves important when you want to challenge yourself as you can do so by adjusting up to eight resistance levels. The hands come with pulse pads to track your heart rate and now deliver to the LCD screen. It is entirely functional since you can also get accurate results of the distance, time, calories and speed of your workout. It applies smooth twists to the cranks such that they go quietly even at high speed. This aspect is important so that you can run other machines without getting distractions from the bike. The pedal cranks are relatively wide to give a stable footing as you cycle. You’ll like how the straps keep you from sliding or losing balance. With this bike, you get an excellent design that is not only functional but also dependable for a perfect, low-impact routine. It is not hard to move around since it has transportation wheels. Seeing that it comes at a very competitive price, you’ll find it hard to pass it over. The truth about gym memberships is that they are not cost effective in the long run. 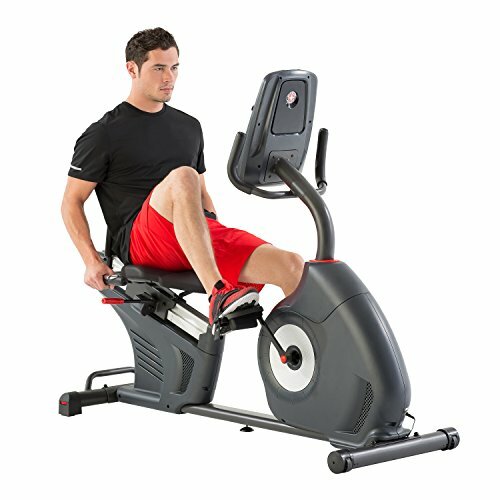 Investing in a home workout bike may just be a long the term solution for a lifetime of workouts. 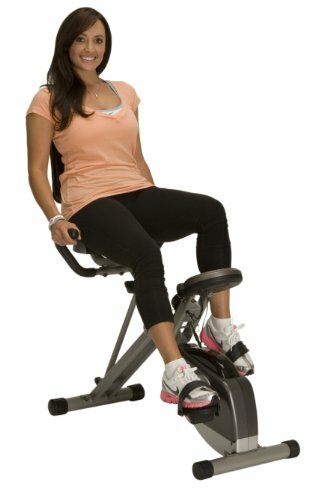 The Marcy ME recumbent bike is one incredible set. It has shown reliability in keeping your body in motion while still in a comfortable state. As you first set your eyes on it, you are caught by this allure of color blend. It is a mix of black, silver and golden umber. It’s just what you want to match your home décor. If you plan on setting it in your living room, creating space won’t be a problem as it comes in the standard bike size. You will love that it is a good workout option for building muscle and strength. Soon, you will notice how well your clothes fit. Let’s take a look at its unique features. It is one of the well-built bikes you can find. The body is very sturdy to hold a considerable amount of weight. It does not sway or rock when subjected to rigorous speeding since it uses the 8-level magnetic control system. It is admirable how calm it feels when peddling. You can even read a book on this one. The tension is adjustable via a knob as you will find it useful when you want to challenge your usual routine. You can easily track your progress when using this bike. It carries a decent display to indicate calories, speed, distance and time. More so, the seat is very comfy with a protective foam backrest. It fully supports your back in an ergonometric design to keep your posture upright and release muscle tension. You will feel calm and peaceful while using it. Above all, I cannot forget to mention that it has transportation wheels which make it more mobile. You can easily lift it from the front and pull it to whatever room you desire. It has a resistance to damage as you’ll come to see that maintenance is super easy. Constant snuggling of the bolts will keep it in good shape. Let’s say that this is the advanced model of the Schwinn 230 we discuss next. It exhibits more on each level of performance against the other models on the market. 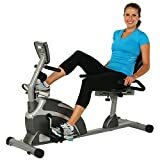 It has all the features to expect from a perfect exercise bike. Especially for your home, you’ll find it necessary for pacing up you exercise. You can improve overall body strength by losing fat and increasing muscle. Conditioning and getting back on our fitness track is the sole mission with this bike. The lustrous black finish on this one is just the spice you need for your exercise. Just having it in your living room will lead you to cycle right away. It has some elegance that fills up any room you put it. You’ll love the walk-through design. It helps you sit upright without squeezing your knees, to ensure your back is supported. I like how easy it is to install. The instructions are precise, and you can have it working in less than one hour. As this is the best design so far, it has twenty-five resistance levels and twenty-nine programs to choose. Let’s just say you’ll never get bored of a routine. Tracking your progress has also been made much easier through the Schwinn Connect. You can look at your progress for it gives us more motivation. When it comes to the seat, it is well padded for ultimate comfort. It combines with a very airy back rest to keep you cool when working out. This bike also features a USB port where you can charge your media device. It carries a rack for drinks or phone placement. What’s more, it has three fans to whisk your sweaty skin during an intense workout. I can tell you’ll not be leaving it soon. This bike integrates simplicity and versatility. It is all round for use by anyone who’d like to get better in their health or fitness goals. Having a weight capacity limit of 300 pounds, we can see that it is a heavy duty framework. This will be service for a long time without breakages and lost parts. For the price, I can say it is worth all the value it brings forth. If you are in the market for an appealing yet dynamic set off a recumbent bike, Schwinn has the most versatile on the market. Its array of features, makes it rate on the upscale end. The performance is exemplary, and you will find that everyone can use it. If you plan on getting a good cardio workout, go for it with this bike. You will feel it in minutes. You can achieve your fitness goals with this bike since it gets your heart rate up. Knowing how important even the minimum exercise can do to our bodies, I suggest you get yourself onto this bike and cycle your way to better health. For those of us who have had injuries in our legs, it is paramount in physical therapy. It restores strength to get you on your feet well in no time. 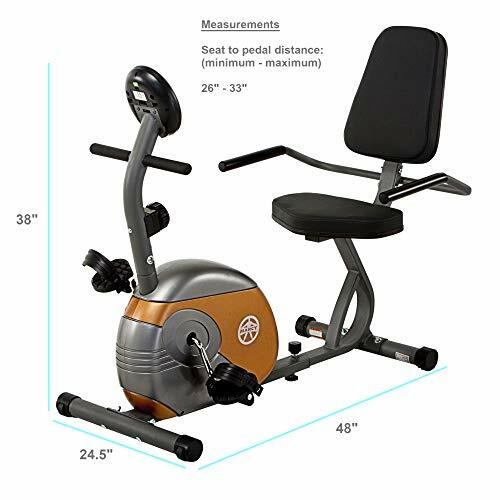 The Schwinn recumbent bike features a strong body, with a walk-through style. You cannot knock your knees on the pedal or computer screen when using it. The seat is such a recliner where your feet reach nicely on the pedals. You’ll see that this seat is not the conventional foamy ones, but it does not make it uncomfortable. You’ll sit in it for hours before the rigidity sets. The tech-qualities on this one are quite a catch. It comes with twenty resistance levels embedded in a high inertia, high speed, and weighted perimeter flywheel. This aids in smooth cycling without any noise coming from it. You can choose from twenty programs for your fitness level choice. Spice up your workout by setting up a profile for you and you friend on the computer. It might just swing you into a competition mood and bring you closer to your fitness goals. Even though this recumbent bike is a bit pricey, it is expected from such a high-quality piece. It would just be the right pick for just about everyone. The LCD screen gives up to thirteen results of health indicators. You get to keep up with your progress through the Schwinn Connect. It gets you into a community so that you can encourage and challenge one other. 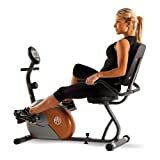 We are hopeful that you select the recumbent bike that suits your every need. Compromises may be there, but ensure they do not lean on the functionality of the bike. There are so many models out there, and a list like this may prove valuable for the information you’ll need when checking out one. Remember always to take your health and fitness seriously. With such a bike, you can meet the minimum exercise requirements. This will keep you on a path full of happiness and self-appreciation. The Top 7 Benefits Of Home Gyms – Why Invest In Your Own Equipment?